Black Foot Sublimated Socks – Boost Supply Co. In order to print high quality prints, we need high quality print files. So here are our print file design guidelines. All print files must be scaled to print size. Graphic that don't meet our guidelines might not be printed correctly. Designs are printed on the leg of the sock – the foot portion will be black. Graphics for the template are 4.66”(W) x 8”(H) / 150 dpi. Print file size: 4.66” x 8”. The same graphic will be printed on each side of the sock. Socks printed with the template will be identical. Safe print area: Keep all important text or graphics within the safe print area. Placement We cannot guarantee perfect placement for our socks. Graphics that wrap around might not be aligned seamlessly. 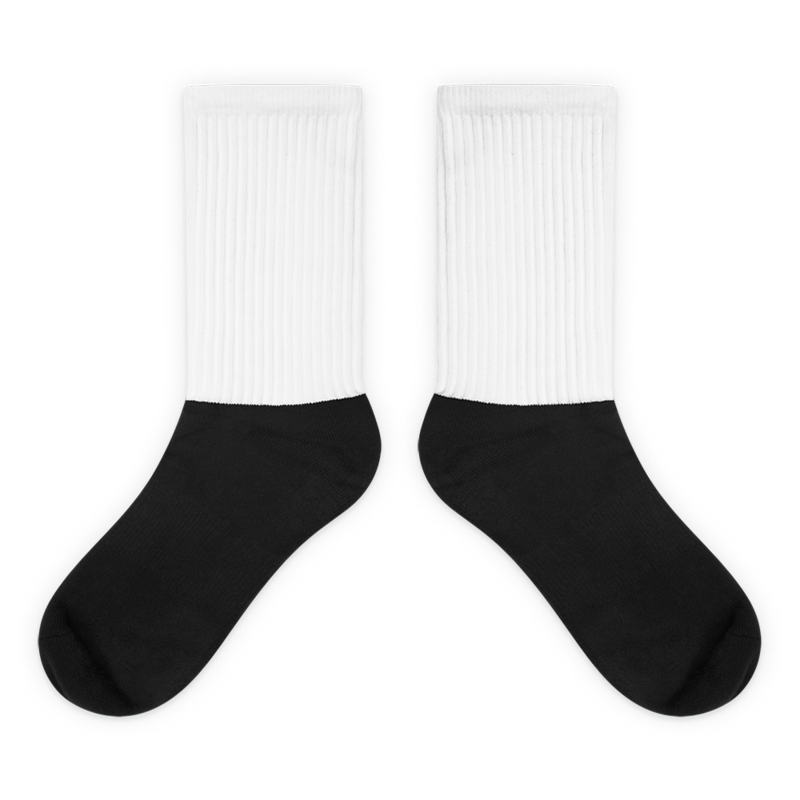 Ink Residue Using too many dark colors in your graphics may result in faint lines of ink residue on the front and back of your socks. This is caused by ink bleeding from your graphics during the sublimation process. We recommend using lighter colors in your graphics, or avoid using dark colors with large spaces of white.